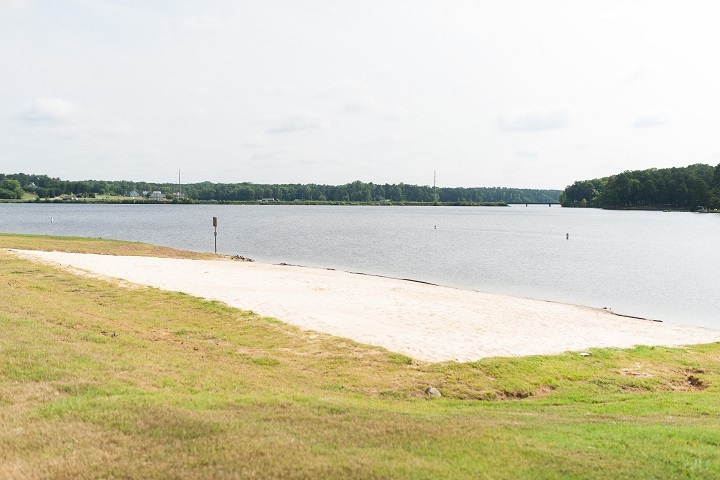 Great realities in life often start with great vision, and the new beach at Hyco Lake is the perfect example. Josh Atwater, Chairman of the PCLA Board of Directors, says they saw the need to diversify family offerings at the lake and this 4000-square-foot sandy addition is the latest step in that direction. A step that has already benefited many people from Person, Caswell and surrounding areas in the short three months it’s been open. The hope is that this new addition will become a popular place for families and groups to enjoy functions, events or just time together, as an alternative to long drives elsewhere. Plans are in also in the works for grilling stations and volleyball nets to be added in the future, giving visitors even more opportunity to enjoy the lakeshore. Just last month the beach had a great chance to be “broken-in” as Hyco hosted its 3rd annual world-class NCINT League wakeboarding event. Food vendors were set up on the cleared 2-acre parcel and onlookers had prime real estate to enjoy the show while sun-bathing and cooling off in the water. There are plans for more events like this in the future. This isn’t the first improvement to the recreation area at Hyco Lake. 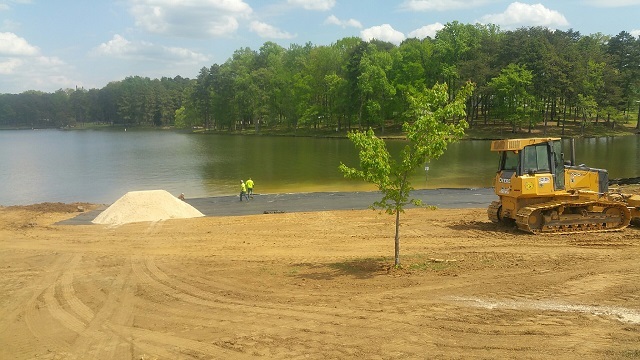 In the past few years, the boat ramps were completely renovated to make room for larger boats that continually frequent the lake. 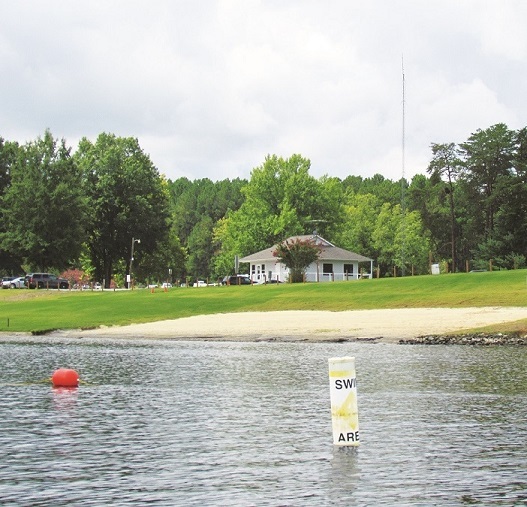 Not only are more people using the lake from Person and adjoining counties and towns, but an influx of many new home owners has added to the surge of watercraft. 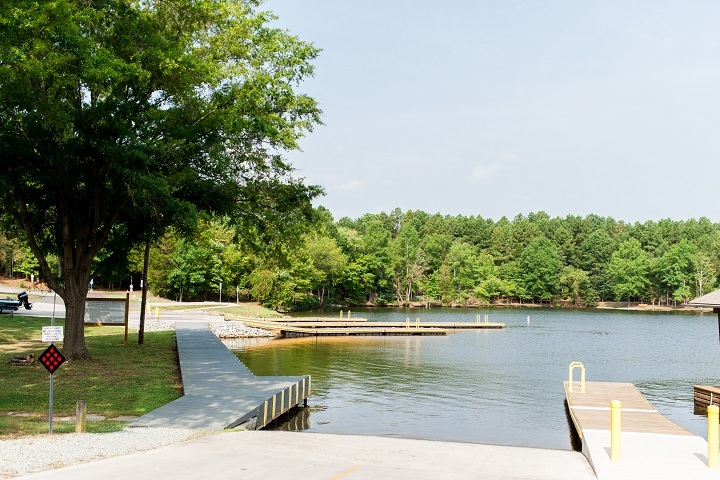 In addition, free wi-fi is now available to campers, as well as a private boat dock and cabins outfitted with DirecTV and refrigerators. For a nominal fee of $10 per carload up to six people ($1 more for additional passengers), the beach and other recreational activities like disc golf, camping, nature trails, playgrounds and canoeing or paddleboarding can be enjoyed Monday-Friday from 9 a.m. to 6 p.m. and weekends from 9 a.m. until 8 p.m. Make plans to check out all that Hyco Lake Park and Campground has to offer now and stay tuned for more to come. To learn more about Meredith Bernard visit her website ThisFarmWife.com.